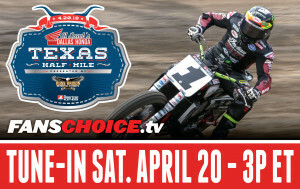 American Flat Track News - Law Tigers American Flat Track Arizona Mile Tickets On Sale Now! 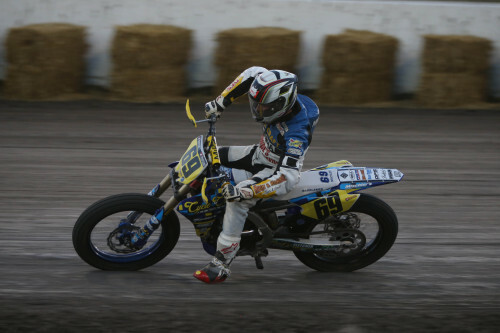 Law Tigers American Flat Track Arizona Mile Tickets On Sale Now! Zanotti Racing's Briar Bauman seemingly doing the impossible at Turf Paradise during last year's Law Tigers Arizona Mile. Tickets are now on sale for the 2018 Law Tigers American Flat Track Arizona Mile at ArizonaMile.com. 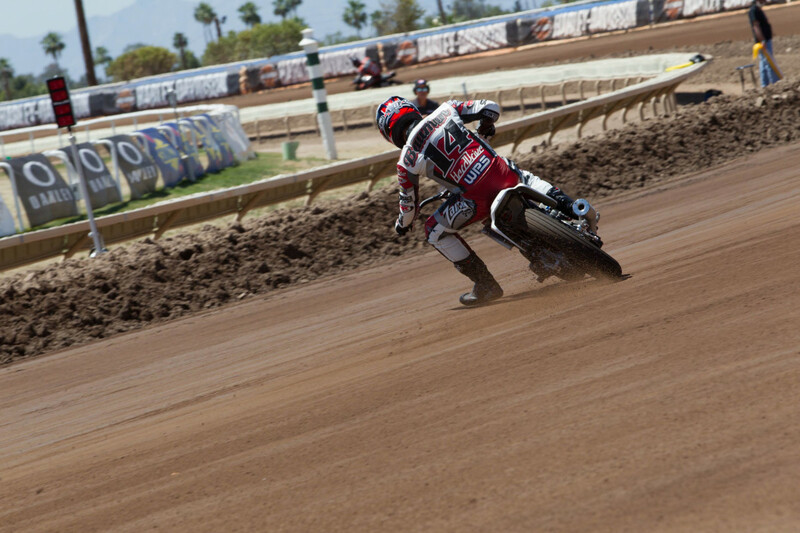 Set in the “valley of the sun” in Phoenix, Arizona on Saturday, May 12, the Law Tigers American Flat Track Arizona Mile is the first Mile event on the 2018 AFT national championship schedule, and it’s sure to be a bare-knuckled brawl in both the AFT Twins presented by Vance and Hines and AFT Singles classes. Fans will see who’s gone the extra mile in the off-season to improve their machines, their training and their preparation for this first Mile race of the year. Indian, Harley-Davidson, Yamaha, Kawasaki, Honda, Suzuki, Husqvarna, KTM, Ducati and others will compete handlebar-to-handlebar at speeds as high as 135 mph at this spectacular venue. There are many superb viewing locations and ticket options for this event, so please visit ArizonaMile.com for all ticketing information. 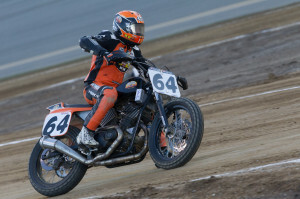 At last year’s Law Tigers American Flat Track Arizona Mile, fans were treated to one of the closest finishes in AFT Twins history, with Indian Motorcycle factory rider Bryan Smith pulling out a half-bike margin win over teammate Brad Baker. Indian Motorcycle factory rider Bryan Smith nabbed the 28th AFT victory of his career with a narrow win against teammate Brad Baker at the 2017 Arizona Mile. In the AFT Singles class, Shayna Texter took her first win of the season - and her first National win in nearly four years - on her Honda CRF450R. With the thundering, large-displacement AFT Twins and 450cc-class AFT Singles bikes in action, this year’s Mile is sure to offer the same sort of heart-pounding, wheel-to-racing. Shayna Texter took her first of five AFT Singles wins in 2018 at the Law Tigers Arizona Mile at Turf Paradise with a narrow win over Tristan Avery and Brandon Price. There’s a lot more to see and experience over and above the racing action, too. This year’s ’70s/’80s ‘Throwback’ theme means you can break out your best Evel Knievel or On Any Sunday T-shirts, boogie to a live band, take part in the ‘70s/’80s costume contest, enjoy the vintage motorcycle show, and check out the vendor row with great brands and items. New for 2018 is the Arizona Mile Celebrity Mini Bike Race presented by Arizona Mini Bike and Go Kart. This mini bike race will pit local TV, radio and media personalities against each other in a three-round, winner-take-all format. Tickets for this year’s event go on-sale Thursday, February 15 at 9 am PDT at ArizonaMile.com. Tickets start at just $39, with lots of other options including VIP trackside or rooftop, air-conditioned Turf Club & Club House, and much more.